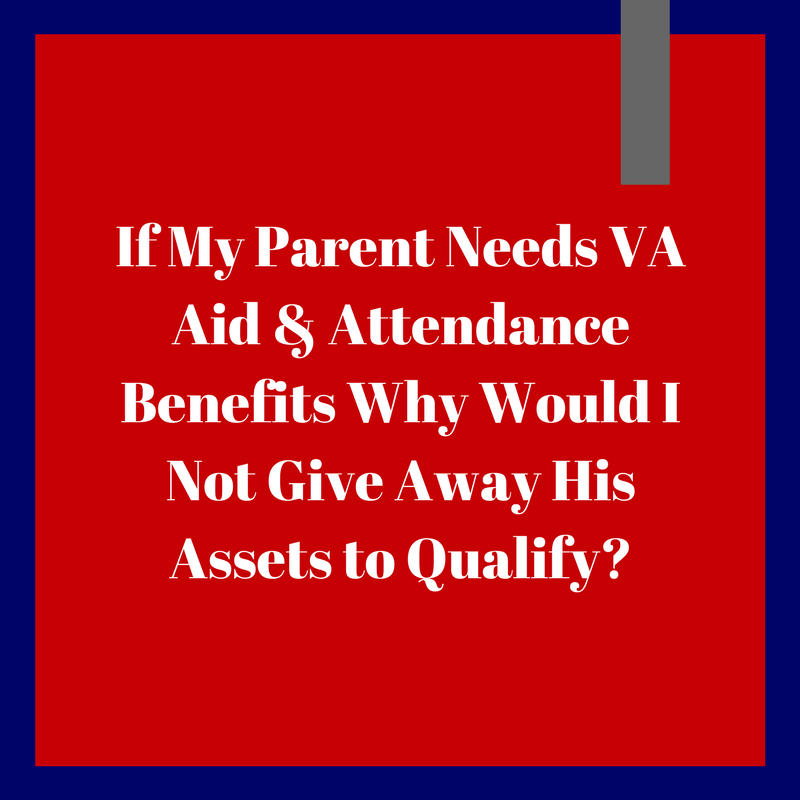 Why Not Give Away Assets To Qualify For VA Aid & Attendance? 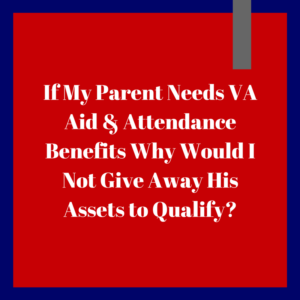 If My Parent Needs VA Aid & Attendance Benefits Why Would I Not Give Away His Assets to Qualify? So, what is the problem or concern about giving away assets? If the gift is to an individual (children, grandchildren, etc) then the individual could lose the money to a divorce, lawsuit, bankruptcy or simple bad financial management. These are concerns that should be addressed in a very open and blunt meeting with an Alabama Elder Law Attorney. To be blunt, the rules of the VA don’t always make sense to families. Especially the rules of the Alabama Medicaid — these often don’t make sense to most people. Throw in the family dynamics and the need to ask the children “What is your financial condition?” and “How is your marriage?” and similar tough questions. This can become very complicated and difficult. This is why we suggest you have a road map that gives you, like a GPS today, the path from where you are now to where you want to go. A path that avoids the dangers and maximizes the odds of getting to your destination safely. Gifting can be a wonderful strategy and can enable a family to receive the VA benefits that can make all the difference in the world — over $25,000 a year. Over five years this can be $125,000. But you need to be careful and make sure any decisions you make, any transfers of property, any gifts, have been well thought out as part of an overall plan or road map. If we can help you with any aid & attendance questions, give us a call at 1-205-879-2447 and ask to speak to Carolyn. She can set you up with a morning appointment. Or you can fill out our contact form here on this website. We look forward to learning more about your situation so we can help you discover the best path.